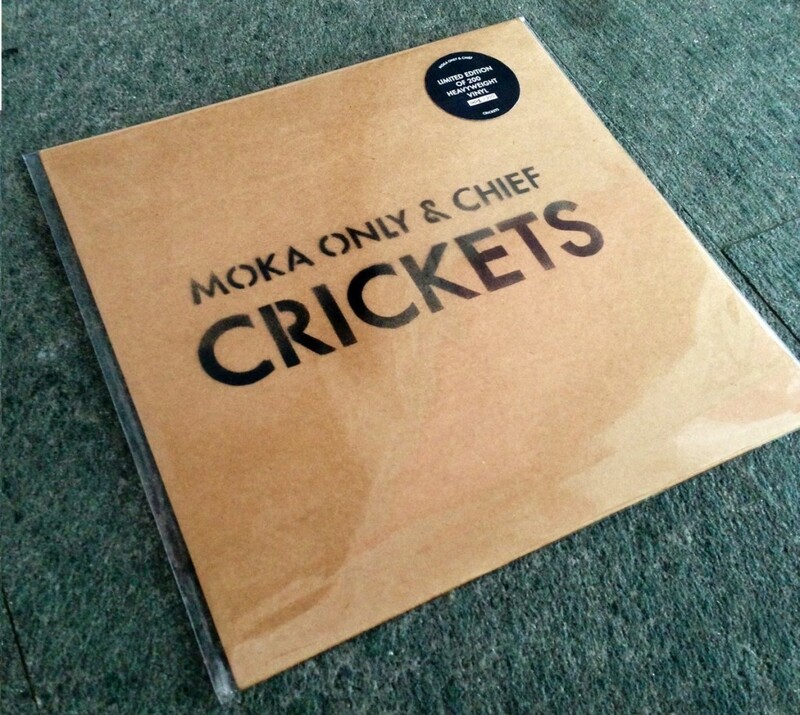 Super limited edition of Moka Only & Chief’s album “Crickets”. 180g vinyl, hand numbered, comes with a CD of “Crickets” and immediate download. Only 200 copies available and no repress! “Canadian rapper/producer Moka Only teams up with Swiss beatmaker Chief for the finest indie hip-hop album you might hear this year, “Crickets”. The album showcases the talent of two very gifted artists, pushing the boundaries of hip-hop while preserving its backbone. The album showcases Moka Only’s unique raps fused with Chief’s sound signature of merging straight hip-hop elements with forward-thinking production. Moka Only and Chief first collaborated in 2008 on the tracks “Do Work” and “Felt before”, and soon after Moka Only released his album “Lowdown Suite 2 – The Box” on Chief’s label Feelin’ music.